Random House Books for Young Readers, 9780375869907, 40pp. Perfect for fans of Mo Willems' Elephant and Piggie series! 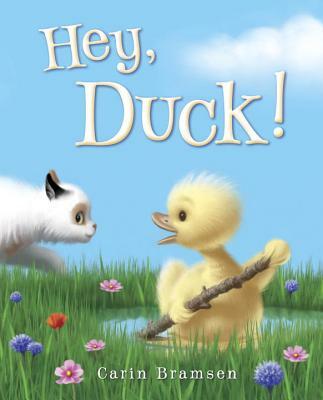 An adorable little duckling is trying to befriend another "duck," but he is oblivious to the fact that his potential pal is actually a cat. Though resistant and stubborn at first, the cat soon realizes labels don't matter in the least--and before you know it, meowing and quacking are one and the same. Praise for Carin Bramsen's Duck and Cat books! 2016 Buckeye Book Award nominee! CARIN BRAMSEN received her BA in art history from Barnard College and has studied at the School of the Art Institute of Chicago and the School of Visual Arts in New York City. She lives in Brooklyn, New York, where she illustrates, paints, and performs the occasional high-kick for the squirrels outside her window.